As a part of Views on the 4th, we have invited artist-in-residence Kristina Guison to talk about her durational performance Weather to Store. 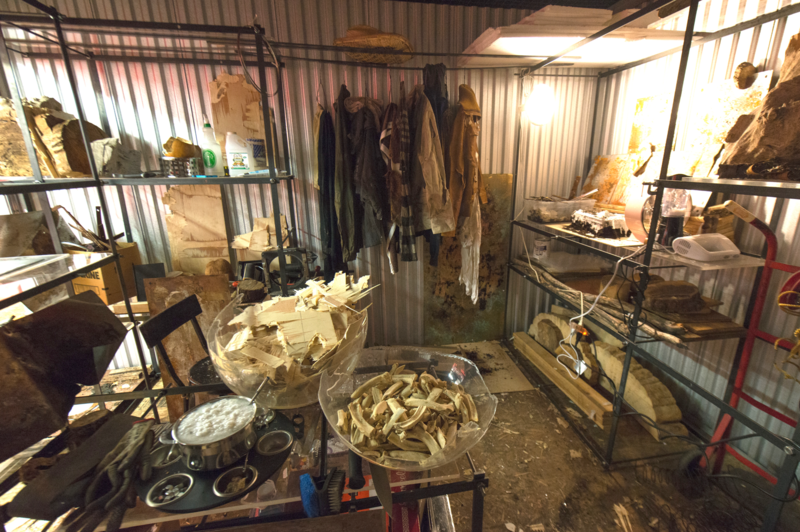 Set in no particular order, the artist arranged and manipulated objects using different strategies in three distinct spaces: a gallery, the outdoors and a self-storage container. Mediating on the displaced and dis-jointed utility of the objects, sequences of actions and contexts of the selected spaces, the performance revealed how context and condition influence the shifting and impermanent value that humans give to objects. Kristina Guison is a Manila-born, Toronto-based, Filipino-Canadian artist. She works in the realm of sculpture, installation, performance, social practices and tattoos. Her practice is an investigation of themes relating to globalization and transnational identities across geographical spaces and time (Pre-Colonial, Colonial and Post-Colonial) as they culminate in the 21st socio-cultural landscape. She is interested in identifying elements and patterns in this landscape, particularly ones that behave as catalysts and residues that simultaneously extend and limit human experience. She holds a BFA, major in Sculpture/Installation with a minor in Integrated Media, from OCAD University (2016). After moving to Canada in 2007, she has developed her practice by experiential research, artist residencies and shows in The Philippines, Andalucía and Toronto.